The news that toxic chemicals may be triggering a rise in autism, attention-deficit hyperactivity disorder (ADHD) and dyslexia in the United States has rightly prompted concern among parents. But what contaminants are Australian children exposed to that might increase the risk of brain and developmental disorders? In 2006, US researchers Philippe Grandjean and Philip Landrigan published a list of industrial and environmental chemicals that cause serious neurological and behavioural problems. The list included lead, methylmercury (from fish containing high levels of mercury), engine coolants, arsenic and a solvent called toluene. The researchers recently added 12 new substances to the list, including some pesticides (which can cause developmental delays), dry cleaning solvents (linked to hyperactivity and aggressive behaviour) and fire retardants (which may cause developmental disorders), bringing the total number of chemicals that damage the brain to 214. Many of the chemicals on the list are already banned or controlled in Australia. But some are still used in industrial products or are found in the environment, so keeping track of their use and distribution is nearly impossible. While individual case studies document local exposures, this data has not been integrated in any systematic way across Australia. Let’s look at some key chemicals found in our soil, air and water – mostly around mines and industrial sites. Metals and metalloids are notoriously high in soils and dust surrounding current and former metal mining and smelting sites, including Boolaroo, Broken Hill and Port Kembla (in New South Wales), Port Pirie (South Australia), Queenstown-Rosebery-Zeehand (Tasmania), and Mount Isa and Townsville (Queensland). These sites have elevated levels of lead in soils and dusts, along with a suite of other potentially toxic elements. Soil contaminated with lead or arsenic is harmful to developing children’s brains. Two recent Australian studies have shown that low doses of lead and arsenic exposure in early life have significant and measurable effects on development. Lead is a neurotoxin, which means that when it is absorbed, inhaled or ingested, it can affect the development of the child’s nervous system. As many as 100,000 children under five years of age are estimated to have blood lead levels high enough to cause heath and behavioural problems, mostly due to their proximity to smelters. Exposure has been shown to lead to lower IQs, ADHD and delinquent behaviours. A 2013 study I co-authored suggested that Australians who were exposed to high levels of lead as children may be at greater risk of committing violent and impulsive crimes two decades later. Exposure to inorganic arsenic from soil can occur close to old gold mining areas, when children ingest small amounts though hand-to-mouth contact and breathing in the dust. 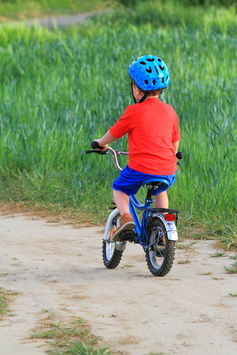 Elevated levels can have harmful effects children’s cognitive development and may also increase the risk of cancer. As Grandjean and Landrigan note, air pollution is a significant source of exposure for industrial chemicals. All state and territory governments in Australia have agreed to six air quality standards that cover carbon monoxide, nitrogen dioxide, ozone, sulfur dioxide, lead and particulates. Although these standards are legally binding, many mine sites have special licence arrangements to exceed safe levels. Mount Isa, for instance, can exceed the maximum one-hour sulphur dioxide limit by up to five times. Other metal and metalloid contaminants that are toxic to growing brains – such as arsenic, cadmium and mercury – are not included in Australia’s national air quality standards. 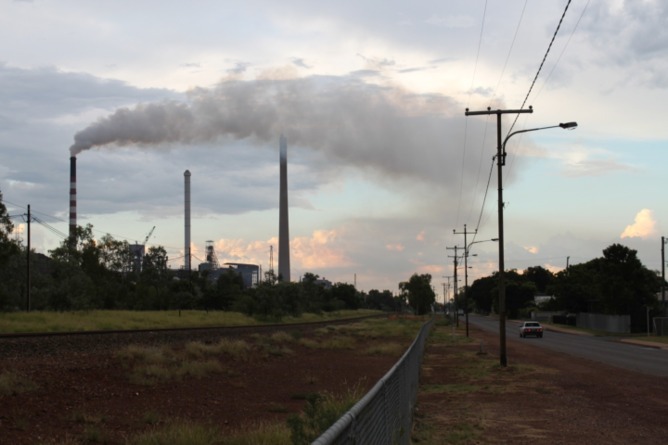 Air concentrations of arsenic and cadmium are measured and regulated at Mount Isa under state legislation, but again they have special arrangements to pollute above these levels until the end of 2016. In contrast, atmospheric arsenic, cadmium and sulfur dioxide concentrations in the community of Port Pirie, home to one of the world’s largest primary lead smelters, are not required to be measured or regulated. But we know the smelter’s emissions and depositions are significant. There is also evidence linking a range of other air pollutants to neurodevelopmental delays, disorders and damage, particularly in children. These include manganese, nitrogen dioxide, carbon monoxide and tobacco smoke. According to the recent Lancet Neurology study, early childhood exposure to high levels of fluoride in water (higher than 1 mg/L, milligram per litre) can reduce IQ. Parts of China have been identified as having high levels of naturally occurring fluoride. However lower levels – such as those typically found in Australian drinking water when it is dosed with fluoride – are considered safe. In recent months there has been a lot of “excitement” about the proposed fluoridation of water in Mount Isa, with some vociferous locals suggesting it amounts to legitimate poisoning of the community. The local water authority decided not to fluoridate the water after the council passed a resolution against the idea. Low levels of exposure to fluoride are safe. 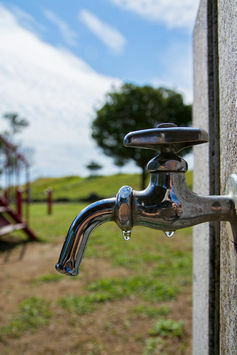 To set fluoridation of drinking water into context, the regulations mandate that Mount Isa is to have a prescribed fluoride concentration of 0.7mg/L, 30% less than Sydney and very much at the lower end of the spectrum. In terms of a public health success, fluoridation has played an important role in the reduction of tooth decay by 40% to 70% in children and also of tooth loss in adults by 40% to 60%. There would be nothing lost, however, in continuing to evaluate data for possible low-level effects of exposure through drinking fluoridated water. Despite the fact that Australia’s minerals sector is responsible for around 8% of the nation’s GDP and produces a significant proportion of the atmospheric pollution, research into the sector’s effects on human health is limited. We need a better understanding of toxic exposure in an Australian context through more high-quality research. It is clear that the existing six mandated air quality standards are inadequate for all situations and locations. The standards must be extended to encompass all harmful pollutants with fixed maximum limits, particularly surrounding industrial sites. Finally, industry should be obliged to provide their raw monitoring data so that environmental emissions can be assessed against licence conditions. These data are now required in NSW, and are helping provide greater transparency and confidence that industry is operating within its licenced limits and that communities are not being subject to excessive pollution. Mark Patrick Taylor is an elected committee member and member of the Technical Advisory Board for the Lead Group Inc. He receives no payment or other financial benefit for this work. The Lead Group Inc is a not-for-profit community organisation that develops and provides information and referrals on lead poisoning and lead contamination prevention and management. See: http://www.lead.org.au.